1. Skin, Peel : چھلکا : (noun) the rind of a fruit or vegetable. Rind - the natural outer covering of food (usually removed before eating). 2. Skin, Cutis, Tegument : کھال - جلد : (noun) a natural protective body covering and site of the sense of touch. Thick Skin - skin that is very thick (as an elephant or rhinoceros). 3. Skin, Clamber, Scramble, Shin, Shinny, Sputter, Struggle : اناڑی پن سے چڑھنا - چڑھنا : (verb) climb awkwardly, as if by scrambling. 4. Skin, Scrape : چھلنا - زخمی ہونا : (verb) bruise, cut, or injure the skin or the surface of. 5. Skin, Hide, Pelt : کھال : (noun) body covering of a living animal. 6. Skin, Pare, Peel : چھیلنا - چھلکہ اتارنا : (verb) strip the skin off. Peel Off - peel off the outer layer of something. 7. Skin : مشکیزہ : (noun) a bag serving as a container for liquids; it is made from the hide of an animal. Protective : حفاظتی : intended or adapted to afford protection of some kind. "A protective covering"
Rind : سخت چھال : the natural outer covering of food (usually removed before eating). Internet Site, Site, Web Site, Website : ویب سائٹ : a computer connected to the internet that maintains a series of web pages on the World Wide Web. "The Israeli web site was damaged by hostile hackers"
Skin And Bones : مریل : a person who is unusually thin and scrawny. Skim Off : پپڑی اتارنا : remove from the surface. How this page explains Skin ? It helps you understand the word Skin with comprehensive detail, no other web page in our knowledge can explain Skin better than this page. 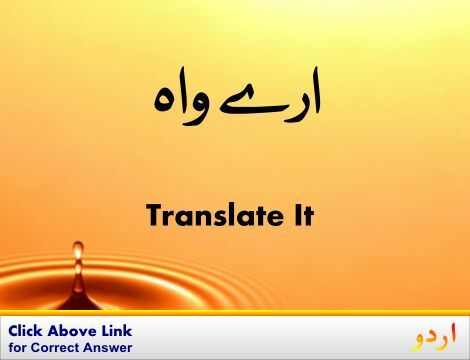 The page not only provides Urdu meaning of Skin but also gives extensive definition in English language. The definition of Skin is followed by practically usable example sentences which allow you to construct you own sentences based on it. You can also find multiple synonyms or similar words on the right of Skin. All of this may seem less if you are unable to learn exact pronunciation of Skin, so we have embedded mp3 recording of native Englishman, simply click on speaker icon and listen how English speaking people pronounce Skin. We hope this page has helped you understand Skin in detail, if you find any mistake on this page, please keep in mind that no human being can be perfect.